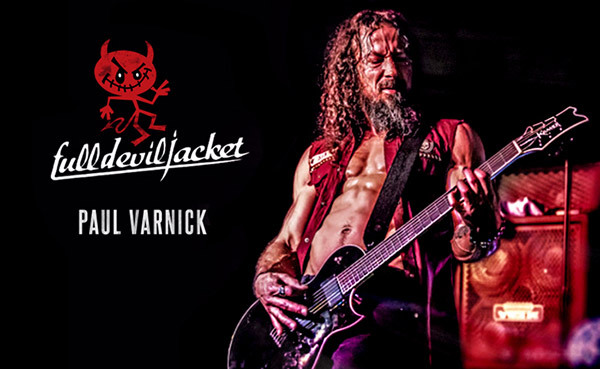 Full Devil Jacket's Josh Brown Talks New Album, Rebirth and New Tour. Read our F.D.J.’s tour tips for being on the road, after the break. FULL DEVIL JACKET will be joining our friends HINDER on tour this summer! Tickets on sale now! More dates adding soon. Josh Brown gives you the meaning and messages behind the songs from the new album Valley of Bones. 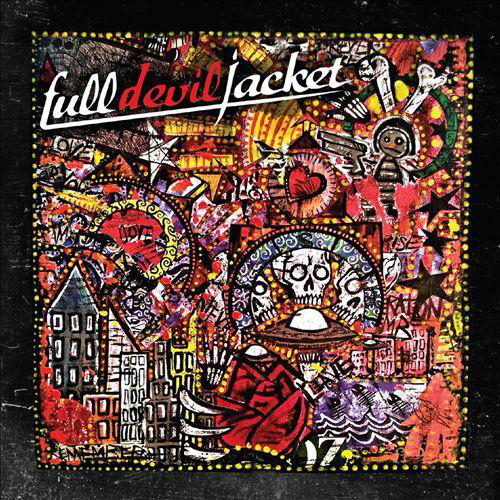 This week we have an exclusive interview with Josh Brown of Full Devil Jacket... More tunes from Full Devil Jacket. Watch and learn the history of F.D.J. Valley of Bones came to be amongst other items. Officially out today to the world! Billboard magazine is exclusively streaming our new album in its entirety today! Click Here to Listen and read their article. Read this new in-depth interview w/ Josh talking all things including the main difference now from when Full Devil Jacket first began, what it's been like revisiting the band, Horror movies amongst other items. Full Devil Jacket will join our friends Hinder on the following dates. 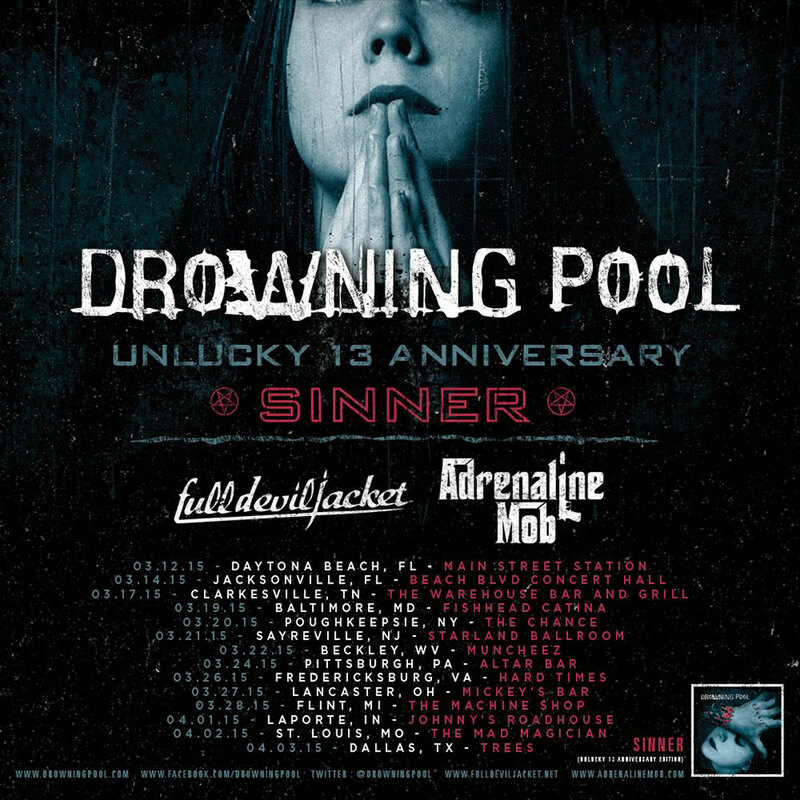 Hard Rock mainstays Drowning Pool celebrated the thirteenth anniversary of their platinum selling debut album Sinner in 2014 with a special edition CD release and plans to perform the material in its entirety. 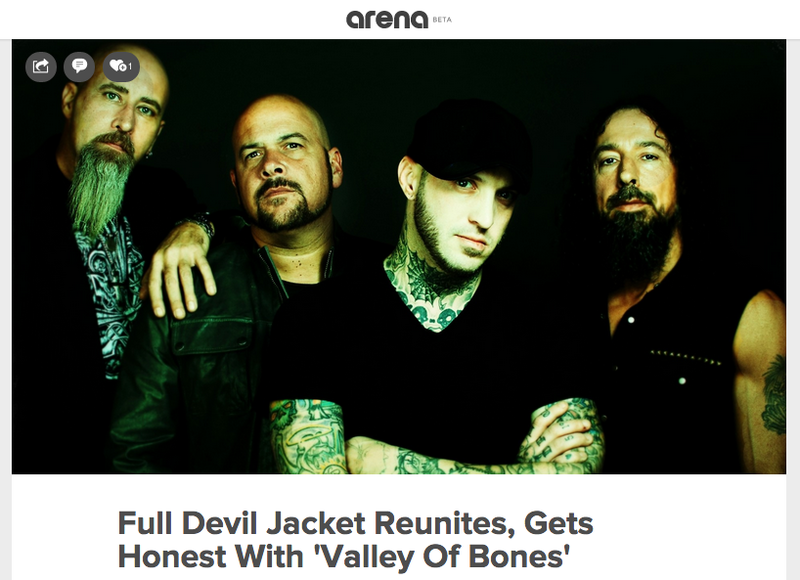 Now in 2015, they team up with supergroup Adrenaline Mob and comeback rockers Full Devil Jacket for the second leg of the tour which kicked off during Bike Week down in Daytona Beach, Florida.